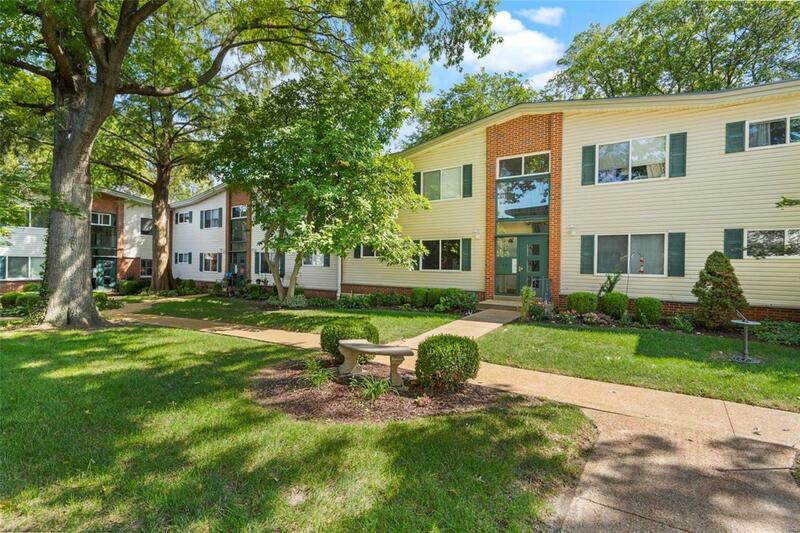 Terrific opportunity to live in Kirkwood a block from downtown! 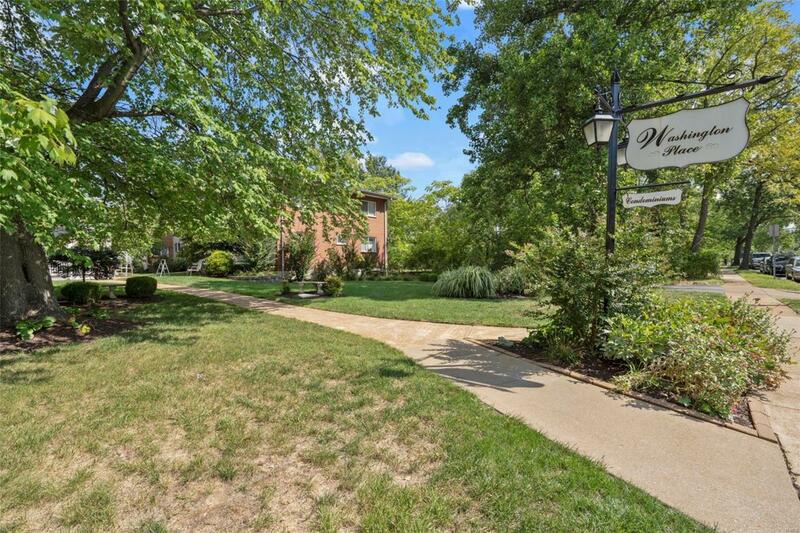 Updated 2 BR/1 BA Condominium in Washington Place Condominiums. All the desired features are here - 1st floor unit, updated kitchen and bath, basement storage area, 1 car basement garage space and all appliances included in the sale, even stackable washer and dryer. 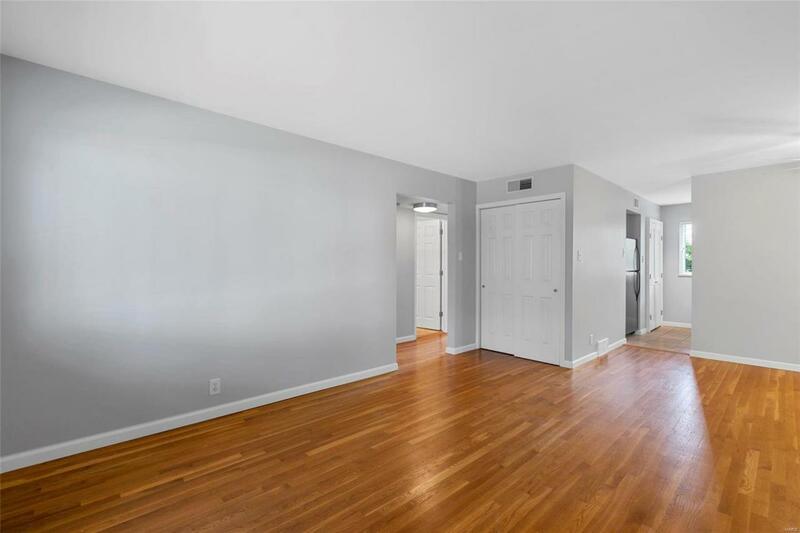 Beautiful real wood floors and an open floor plan capture your attention as you enter the large living room that opens to the stylish, updated kitchen with custom cabinetry and granite counters. Updated paint color throughout, white trimwork and 6 panel doors give a bright, fresh feel to the unit. The two bedrooms have newer ceiling fans and are serviced by an updated bath with glass shower door and ceramic floor. 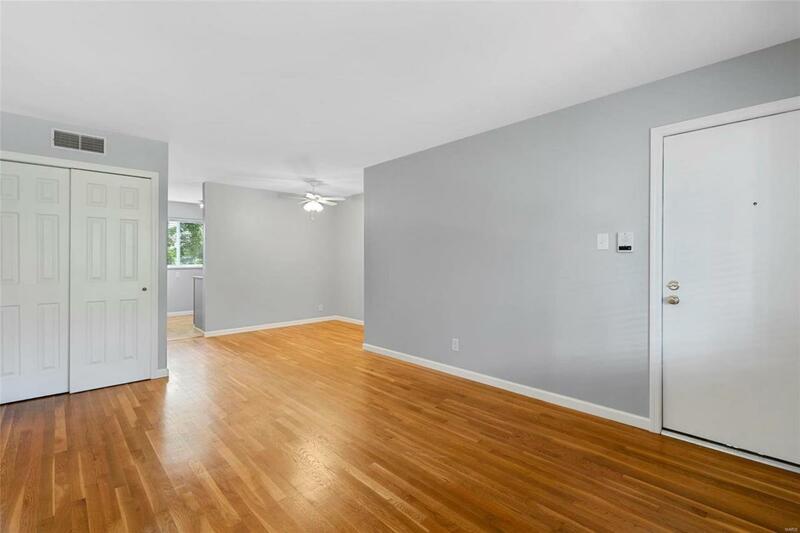 To add to the value and appeal, this unit has a storage area and private garage parking space in the basement level with electric garage door opener for added convenience.